Changsha YiHeng Architecture Tech. Co., Ltd. Treated Site: Super Market Finish. The forklift traffic and high shelf won’t be a problem. 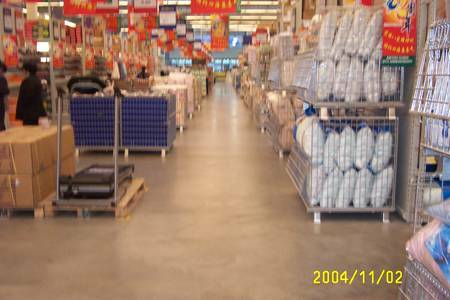 10,000 square meter have been sealed, hardened, and densified with Ashford Formula in 2005.